“You know what–my business practices may be immoral. Yeah, my pricing could mean that a rich person gets my medicine and a little boy living in the ghetto doesn’t. Too bad for little ghetto boy. He might want a Rolls Royce, too, but he doesn’t get that either because he can’t afford it. That’s the system. “Now you… Congress… could change all that. You’re the ones who change systems, not me. I just play by the rules that you set up. “You could pass laws against price gouging on drugs. You could vote for universal health coverage that would provide little ghetto boy with his drugs. “But you don’t, and you won’t, and I’m going to go on doing exactly what I’m doing and you’re not going to lift a finger to stop me. Why? “Because passing laws against price gouging would put you at odds with the pharmaceutical companies that make big donations to your re-election campaigns. And you’re afraid to piss them off. “Because coming out for universal health coverage would brand you a ‘Socialist,’ and you’re afraid of that, too. “Because you’re cowards without the balls to do what’s right if it means you might not get re-elected. “You’re the ones with the power to change things for the better… to put me out of the price-gouging business, and you won’t do it. You don’t dare. You’re the hypocrites. You’re the cowards. You’re bigger villains that I’ll ever be. 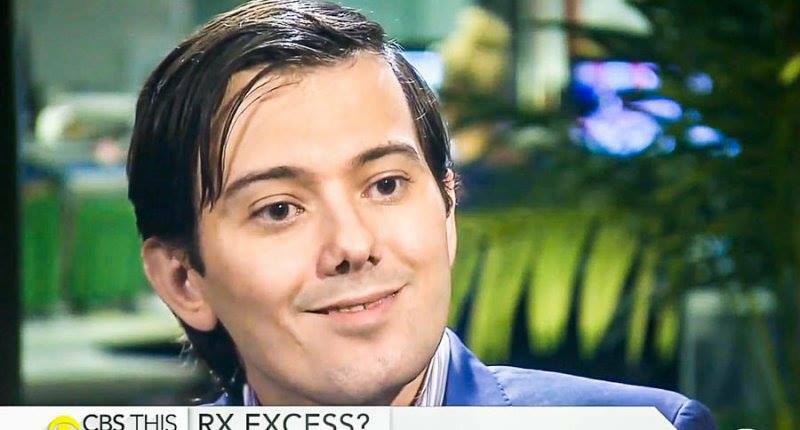 Is it appropriate for Martin Shkreli’s pupils to be that dilated on such a well lit TV set? Might he simply be taking too many happy pills? Just asking.